Did you know that there are quite a few flowers that can be eaten? They include Nasturtiums, Chives, Marigolds & Calendulas, Zucchini, and Violas & Pansies. But before you decide to add a bit of colour to your salads, you need to be a little bit careful. Check that a flower you intend to eat is in fact edible, because there are plenty of poisonous flowers in the garden which you definitely must not eat. It's always best to remove the stamens and pollen from each bloom as these may cause an allergic reaction if you happen to be susceptible. Wash the flowers well before consuming them to remove bugs and dirt - same as for any fruit or vegetable. If you can, avoid putting chemicals on flowers you intend to eat, but if you do need to spray them, make sure you adhere to the recommended withholding period. It's best not to purchase flowers to eat as most commercially grown flowers will have been treated with pesticides. 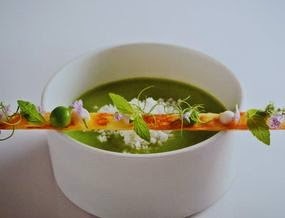 A very interesting program recently on Landline which talked about micro herbs and edible flowers for our dining tables. So why not join in with this trendy food happening and simply have some fun growing and eating your own flowers? For a comprehensive list of edible flowers please visit this website - home cooking. Feed your native plants using a specialist native plant fertiliser rich in iron. And if your Banksias and Grevilleas have yellow leaves, apply some iron chelates one week after feeding. Treat your roses, mangoes and perennials with liquid potash, which will help strengthen tissue against fungal attack as well as boosting flowering and improving fruit quality. Make sure you keep mulches away from the base of your trees and shrubs to help prevent root and collar-rot during the wet season to come. We can enjoy lettuce from our vegie gardens pretty much all year round in Coffs, but during the summer months it's best to concentrate on growing non-hearting varieties as lettuces like Iceberg will go to seed very quickly.